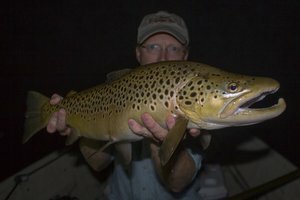 The Trout Zone: Is it Spring Yet? 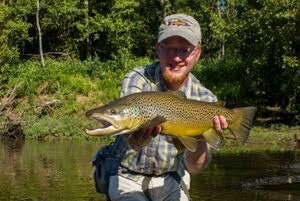 Thankfully, the lack of strong hatches doesn't mean that fish cannot be caught. I made yet another trip up to the Hiwassee yesterday, this time only for a couple of hours. 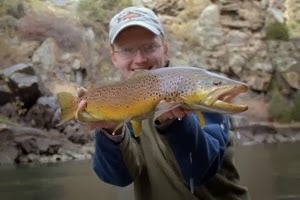 Once again, the generation pulse made for some fine dry fly fishing. There were more of the little stoneflies coming off than before so that is a good sign. The water from upriver has warmed a bit also which definitely can't hurt. 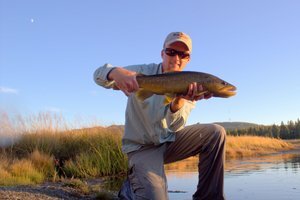 The fish feasted heavily on the stoneflies for the first part of the pulse and then as the water slowly dropped back out, they started keying on a good hatch of TINY midges. 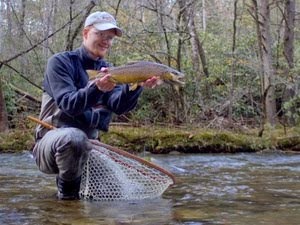 Anyone that enjoys fishing very tiny flies to picky risers should try fishing the midge hatch on the Hiwassee. Of course, as always, evening on the Hiwassee is awesome!! !